Exclusive Forest Lakes Village 55+ condominium with low fees and amazing amenities. 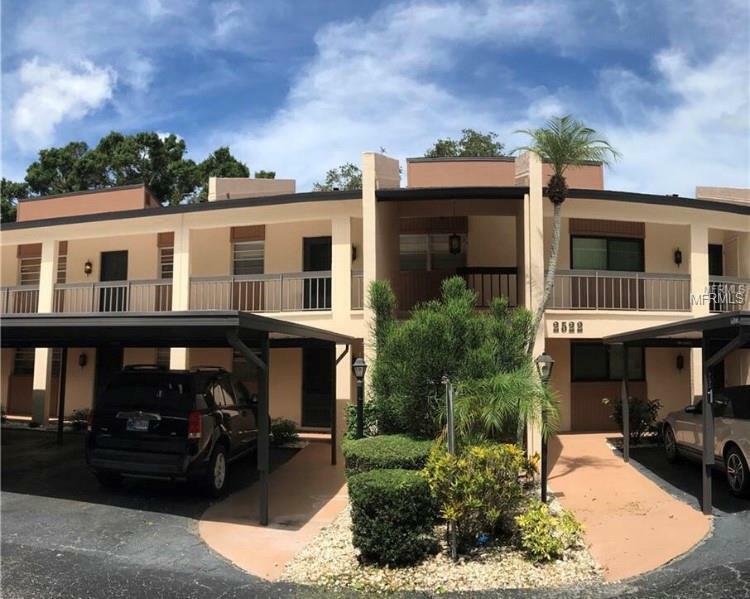 This split plan 2 bedroom 2 bath unit with bonus room is in immaculate condition; Maintained to perfection with a roof installed in 2016 and buildings painted in 2017. Newer appliances, ceiling fans throughout, hot water heater, and air conditioner. Amenities include assigned covered parking, a remodeled clubhouse with fitness center ,library, kitchen, internet area, community heated swimming pool, and outdoor grill. This home offers an air conditioned enclosed lanai providing and expanded living space/ bonus area with a park like view. Forest Lakes Village is conveniently located close to shopping, restaurants, hospital, beaches, downtown, parks and culture. Call Today! Listing provided courtesy of Re/Max Platinum Realty.